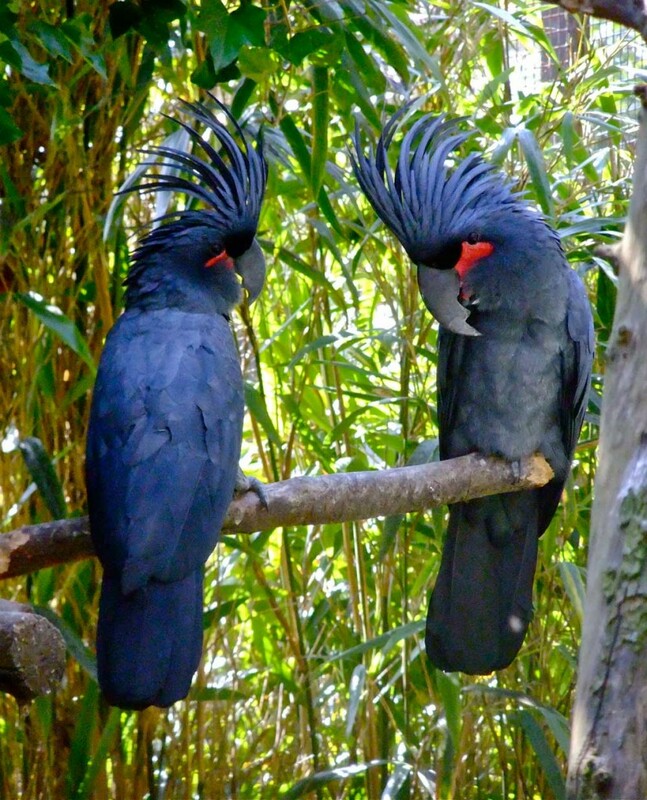 Palm cockatoos are also known as the goliath or great black cockatoos. They have one of the biggest bills of any parrot and can live up to 90 years in captivity. 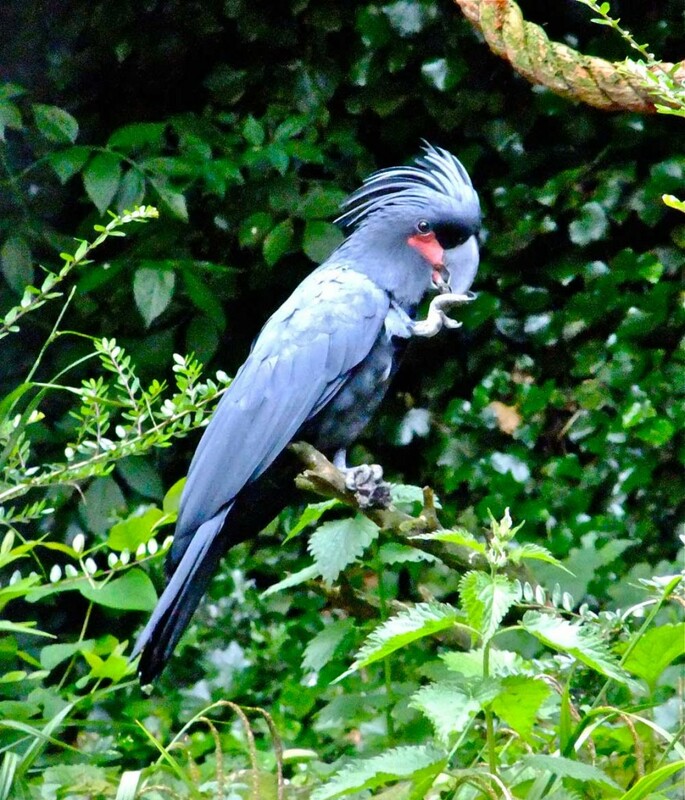 This bird makes four different kinds of vocalisations including a “hellow” call that is surprisingly human-like. 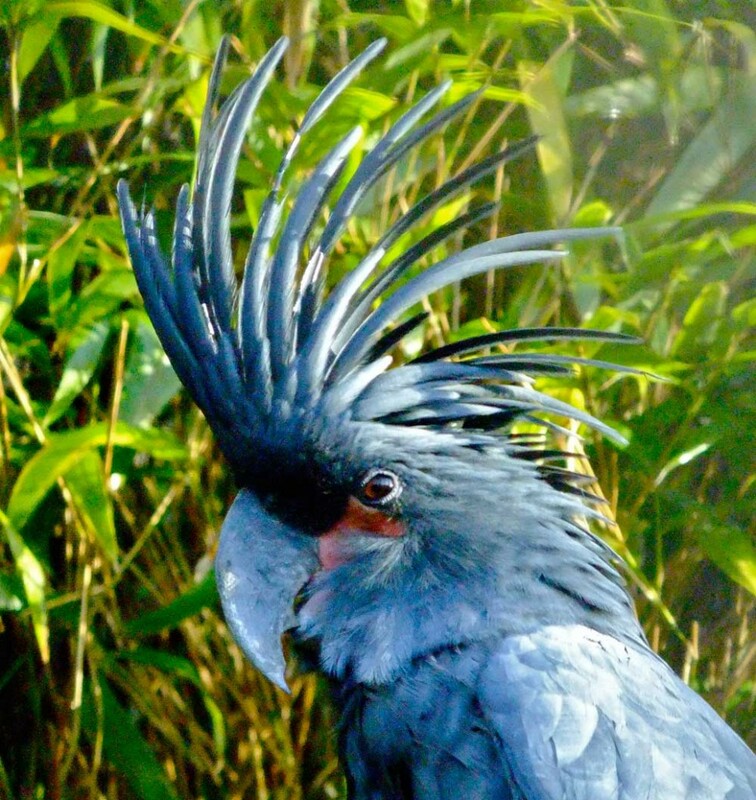 Palm cockatoos only lay one egg per clutch and have one of the lowest breeding success rates reported for any species of parrot. Here at Harewood, we have had success in breeding this bird, with a chick born in 2015. Native to Australia, Indonesia and Papua New Guinea. This bird is prevalent in rainforests and woodland, including gallery forests, forest edges, monsoon woodlands, eucalypt and paperbark woodlands, partly cleared areas and dense savannas. They choose large trees for nesting and roosting. During the day, they roost near food or water sources and at night roost in or near a nest tree. Palm cockatoos feed in small groups; usually only one to six individuals will be seen feeding together at one time. Their powerful bills enable them to eat very hard nuts and seeds that other species have difficulty accessing. Forest fires play an important role in the destruction and creation of tree hollows which these birds use to make nests. Males sometimes perform a unique display before mating, banging a branch against a tree, creating a loud noise as a territorial gesture near nest sites. These loyal birds mate for life.